Pehlwani, an ancient style of wrestling, is struggling to survive in modern day Pakistan and soon may disappear for good. If one were to ask what the national sport of Pakistan is, they might say Cricket. It’s the number one sport of the nation, offering friendly competition, intrigue, and even national scandal, with bribery and spot-checking bannering the high lines of many Pakistani news sports section. What you won’t find on the front page is Pehlwani, an ancient style of wrestling that is struggling to survive in modern day Pakistan and soon may disappear for good. As with most national past times, the origins of the sport are usually more interesting than the present day history. Pehlwani, or “mud wrestling”, is a sport which dates back to the 5th millennium B.C., where it traces its roots before many well-known foreign invasions, such as the Indo-Aryan invasions in the north and the Turko-Mongol invasions of the last millennium. Most well known as Kushti throughout Southeast Asia, you could very well think of it as a young man’s sport, with the practitioners oiling up and putting on loincloths, or kowpeenam, and practicing in the early hours of the morning. Though traditional regiments make it a full day affair, present masters of the art find a few hours a day to train those in their village in the combat art of Pakistan. Traditionally, the sport is taught much like other areas of Asia, and has remained almost unchanged in its teaching methods for close to 150 years. Competition between villages stokes the fires for townspeople to get involved, and makes it a communal activity, with townspeople from several villages coming together to watch the matches. However, many of these communal programs can become mobilized towards nationalistic efforts, something which the Chinese made famous with figures such as Sun Yat Sen, and events like the Boxer Rebellion. 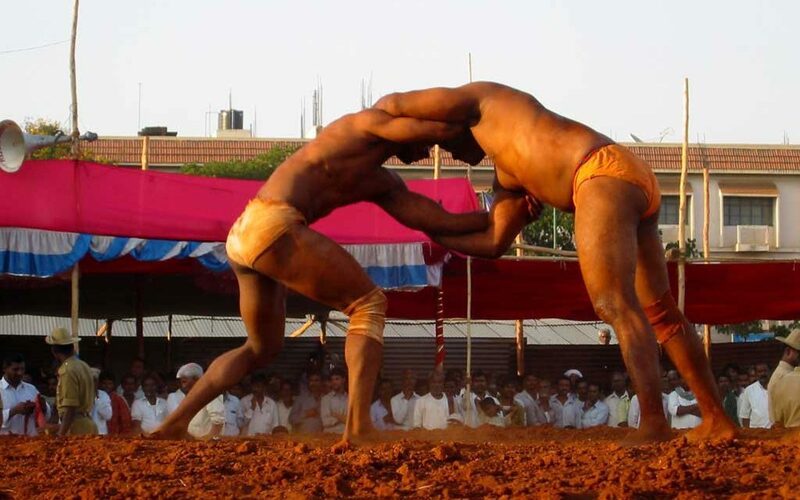 Ramadasa, or the “Father of Indian Athletics”, led the first surge of Pehlwani wrestling by advocating Indians compete to honor their deities, making the sport a popular part of the common culture once again. Adbul Jabbar Saudagar led the second modern surge of activism for the sport and mobilized a national furor for independence. He toured the country in a bid to encourage shows of national spirit through sport, putting on public exhibitions for the colonial British and showcasing the athleticism of native Indians. The effort turned out to be a success, with people all over the country rallying to wrestle and win in their competitive leagues. Prizes were introduced and national competitions created where the top wrestlers received a prize, a golden or silver trophy. As time passed and the threat of colonialism faded following the partitioning of India and Pakistan, and terrorism came to be so abundant, so grew the divide between the two nations where competition grew fierce. Much like picking a favorite football team or having your favorite boxers go head to head, nationalism is placed upon the talents of Pehlwani wrestlers competing with one another from different sides of the border. The sport of wrestling is part of the culture shared between India and Pakistan, and is a language that easily crosses borders between them, lending itself as a tool of diplomacy between the two nations, much like baseball here in the United States, or soccer for Europeans and South Americans. In fact, wrestling organizations from India and Pakistan will refuse to send their wrestlers from one country to another for private competitions, if they feel the diplomatic climate isn’t right for shows of friendly competition. Unfortunately, its popularity with youth is sliding, leaving practitioners of the style with few students to inherit their art, and a nation on the brink of losing a part of its national heritage. To understand the consequences of this, one must look to other historically important, but now forgotten arts, such as pankration, the predecessor of Greco-Roman wrestling, and a now extinct combat form minus a few drawings and ancient artifacts. Scholars to this day are trying to recreate what was once considered the epitome of fighting arts in the heyday of the Roman Empire. If Pehlwani is to keep itself above water, so as not to suffer the same fate as pankration, it must find avenues that make it relevant for today’s Pakistani youth. An American sports tale that is easily transposed here for Pakistan is the popularity of fighting sports, such as Boxing and Mixed Martial Arts, two forms entertainment that both found their pools of talent drying up at varying points in their relatively short established time. As injuries accumulated and money for the sports dried up, so too did interest, leaving athletes and venue holders with little opportunity for success and capital gain. In turn, this shrunk the playing field for regulated competition organizations and venues, limiting the pathways for legitimate ways of fighting and earning money, as seen in Pakistan today. Such events necessitated a revival of the American wrestling scene and the boxing scene, both of which were already popular through entertainment but not so popular through mainstream sports networks. Making the sport mainstream was key, where sport goers can find easy avenues to highly dramatized and publicized events that lend itself to the public eye, creating an atmosphere of tension and suspense that brings in viewers month after month to buy in for fight cards, and reinvigorate the US fight scene that made all forms of combat relevant once more. So they did just that, by creating unifying bodies, working with existing sanctioning bodies, both foreign and domestic, and create a brand that could be commercialized and spread easily from one corner of the US to the other. Success followed on top of that when fighting centric forms of entertainment, such as films, television series, and video games that became mainstream forms of recreation, having all brought interest back to esoteric forms of ancient fighting styles, such as Kung Fu and Karate, while also reeling in large profits. If Pakistan could pass such measures through their censors, and allow these seeds to germinate in the public mind, then Pakistan could have wrestlers and fighters alike represent their nation in venues that could bring in millions of dollars for combat sport tourism, such as hosting fight organizations and training camps for internationally ranked fighters, as well simple tourists interested in the ancient arts of Pakistan. Allowing such measures to pass could give Pehlwani a fighting chance to survive for future generations of Pakistanis and fighting art enthusiasts to enjoy for generations to come. It can also open up cultural boundaries for Pakistani’s to conserve and share one of their unique national treasures with the world, allowing outsiders a glimpse into an oft misunderstood nation of with potential yet undiscovered for global interest and income. If Mr. Sharif could tear down this cultural wall and let Pakistan join the global stage, then Pakistan could become a number one contender for wrestling enthusiasts the world over. Travis Andreu is a young professional who writes about international affairs and military/policing efforts. He is currently involved in the nonprofit sector in New York, where he works as a consultant in nonprofits and NGO's. He is a graduate of Binghamton University with a bachelor's degree in History.